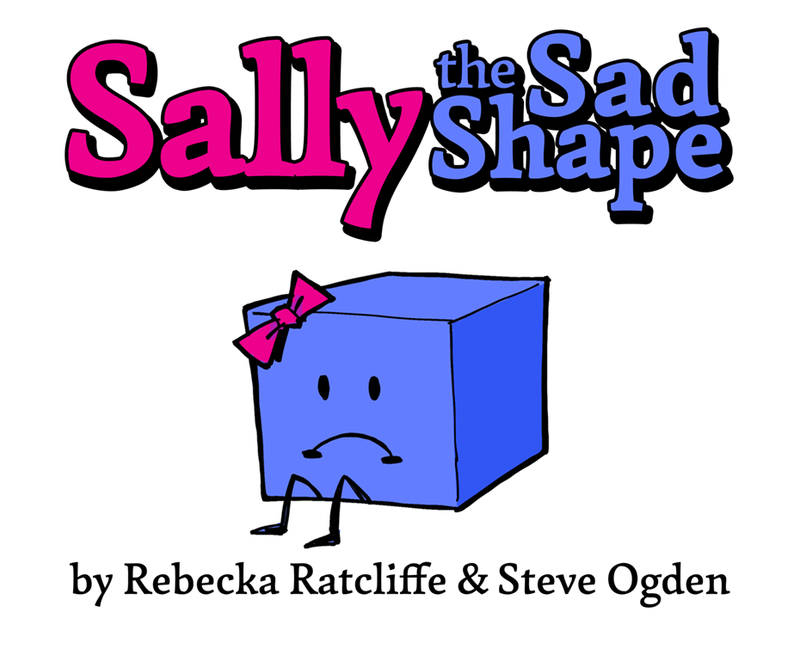 Sally the Sad Shape is available! I’m very proud to launch this little book, the first in the Moodrangles series, books about big emotions for smallish people. Sally is a little shape in a very sad mood, and she tries everything to change it. It isn’t until she makes a new friend that she learns to see her mood in a different light. I wrote this book to let preschool and elementary aged children know that being sad is something that we all go through, and not something that they have to “fix.” The charming illustrations by Steve Ogden Art and use of humor make it an entertaining read for kids and adults. Available right now at Amazon or autographed through the Little Voices Publishing website. Writery Stuff: I’ve learned an enormous amount about self-publishing by launching this little book. I haven’t found the downside yet. I’ll let you know if I do. Unsurprisingly, sending queries to agents is a long, drawn out process. First, the agents you find in your genre have to be accepting queries and submissions. You find the magic window, and send whatever combo platter that particular agent is looking for–one wants a #3, the next just wants a letter a la carte, the next wants the whole thing translated into Esperanto. Then….you wait. If you’re doing it according to industry guidelines, you don’t have it out to 100 agents at once, just a handful. You get those responses or wait for a reasonable amount of time…and then you send some more. The Tiny Giant hasn’t been out to many people so far, and I’ll let that run its course. You have to. Traditional publishing is still the best scenario–they have resources, you have ideas, they can help you get the best version of your ideas to the most people. That doesn’t mean I sit around waiting for six months, though. In the event that I don’t connect with just the right agent at the right time for magic to commence, I’ll pay a professional editor and self-publish The Tiny Giant under my brand spanking new publishing imprint: Little Voices Publishing. Self-publishing is in many ways indistinguishable to the consumer now–you can set it up on Amazon, it can be an e-book, it’s print-on-demand and shipped directly with their free Prime shipping. The days of buying 100 copies from Vanity Press® and trying to hawk them at the Grange Hall are behind us. If you build your small business, and someone wants to come buy you out later…well, that’s fine too. The cost of having this little business is not small. I have applied for all of the licenses and permits, and I’ll have a pile of additional paperwork to do at the end of the year. I’m still up in the air with City Hall about an environmental impact study they said I had to do if I wanted a business license. I think City Hall is going to rule that I don’t need a business license at all, since I don’t really produce anything. (I would be insulted, but that’s the easiest option and saves me $45.) Then there’s the time involved. There’s a website (http://www.littlevoicespublishing.com) and a Facebook page I’m building and updating. I might even get some ding-dang paper business cards done. None of this is writing stories–it is a J-O-B. All of that infrastructure is nearly ready. Then I’ll just let it sit there and…..ha ha ha, no, I won’t. That would be fine if I had no other ideas, but lack of ideas has never been my issue. In March, Little Voices Publishing will launch the first book in the Moodrangles series, Sally the Sad Shape. This pause…it’s an opportunity, and I would be a fool not to use it. Written by me and illustrated by Steve Ogden (Magnificatz), Sally the Sad Shape is a charming story about a mood that we all experience. The Moodrangles series intends to honor the complex emotional lives of children with humor and empathy. I’ll update here with more details when it’s available. Until then…I have some more website stuff to put up, and those business cards to design, and copy to write for the Amazon page, and, and, and. It’s real, it’s fun, and it’s turning out to be really fun.